Stamp with Melva: Don't miss out on using your Bonus Days Coupons! Don't forget to use the Bonus Days Coupons that you earned with your orders in August. They expire as of September 30th, so you'll need to place your order online or email it to me (along with your Bonus Coupons) before then! 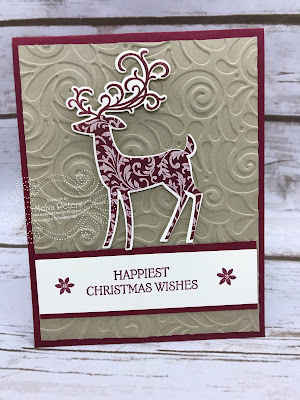 Today I'm sharing a card we recently made at my Card Class using the Dashing Deer stamp set and coordinating Framelits. These are available as a bundle so you can save 10% when you purchase the bundle! 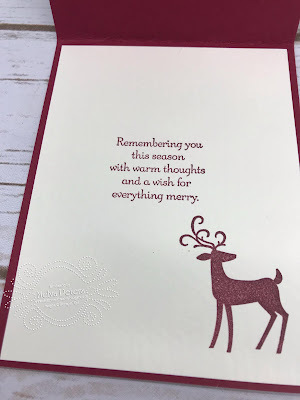 I used Crumb Cake and Cherry Cobbler on this card - one of my favourites for the holiday season. 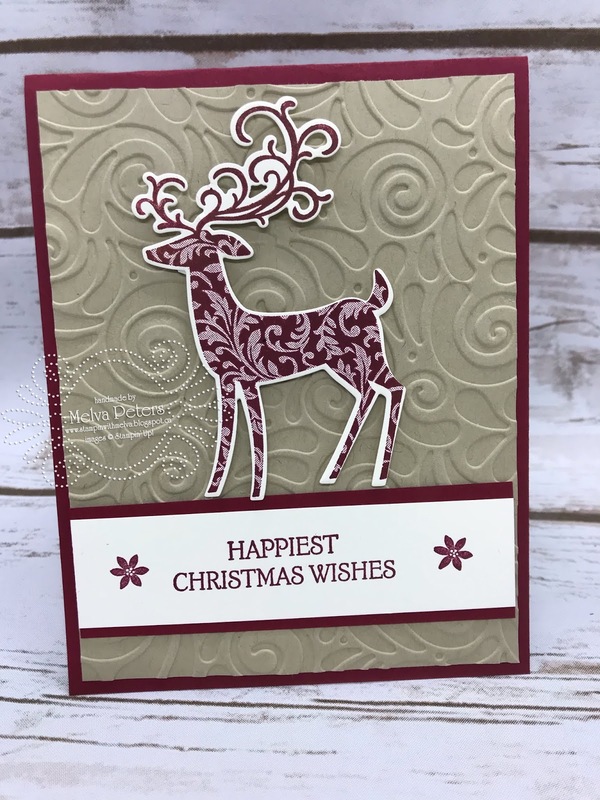 Don't you love the pattern that is on the deer! This is part of the stamp and not Designer Series Paper! For the inside of the card, we used a different deer stamp.